A ten-year-old Indian boy has been refused an Australian visitor visa for the third time in a little over a year as the Department of Home Affairs feels he does not have “employment or financial incentives” to return to India. Harmanpreet Singh applied for a visitor visa in order to meet his father and stepmother who live in Melbourne during his school summer vacation. “It has been three years since I have seen my son. We applied for his visa thrice and they have refused the application with the same reason,” his father Harinder Singh tells SBS Punjabi. Mr Singh’s wife died in a road accident in India in 2012. After he remarried, he moved to Australia in 2015 as a dependent of his wife who had a 457 visa at that time. Harmanpreet also came to Australia with him but returned to India the same year to continue his schooling in India. Mr Singh and his wife subsequently went on bridging visas after their bid for a permanent residency did not succeed. Mr Singh says it’s difficult for him to travel to India to meet his son because he has a casual job. Harmanpreet, who currently lives with his grandmother in India, first applied for a visitor visa last year. But the visa was refused as the Department of Immigration and Border Protection wasn’t convinced that he intended to stay temporarily in Australia. He again applied for a visitor visa on May 3 this year that was refused. “I find that you have not demonstrated sufficiently strong financial, personal, employment or other commitments in your home country that would be an incentive for you to return after your visit,” the visa officer recorded in the refusal letter. Earlier this year, Mr Singh wrote to the Minister for Home Affairs, Peter Dutton. He was advised to supply “as much information as possible” to demonstrate an incentive for his son to return to India with his next application. “I added the documents of my property in India," Mr Singh says. "A letter from my son’s school and my mother’s guardianship certificate of him issued by a court in India. But all that was not enough and the visa officer again cited a lack of employment and financial incentives." Harmanpreet with his stepmother, Gurjot. His latest application for a fast track visa was refused on 28th May, three days after it was made. “What other evidence could we provide to prove that he would return to India. He has been here and returned to India just a month later when he could live here with us. I am happy to pay a bond if that’s required. “We didn’t know that government and the system could be so harsh that they would split a family like that,” he says. Mr Singh, who works as a welder in Melbourne, says the prolonged separation from his son has caused “a lot of stress” in the family. Mr Singh has started an online petition to get the Minister for Home Affairs to review the decision, which at the moment can’t be appealed in the Administrative Appeals Tribunal - or AAT. 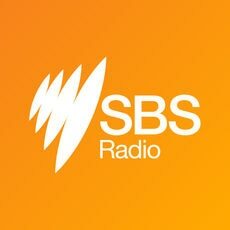 SBS Punjabi has contacted the Department of Home Affairs for a comment. The Indian man and his Australian partner believe their application was deliberately prolonged, and then, the break in their cohabitation was used against them.